Buckingham Coatings is proud to announce a dedicated asbestos roof cleaning, re-coating and restoration service. Customers will be pleased to find that these services are competitively priced and completed to our trademark high standard. 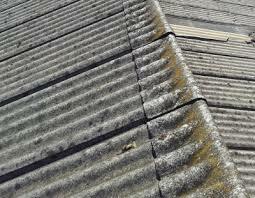 Our asbestos roofing service has been exceedingly popular in recent years. This popularity can largely be attributed to the fact that the overwhelming majority of asbestos roofs in existence have reached the age where they require dedicated attention. This need for attention is most often a result of residual wear and tear that has occurred and needs to be remedied in order to prevent further degradation to the roofing and heavy replacement costs. 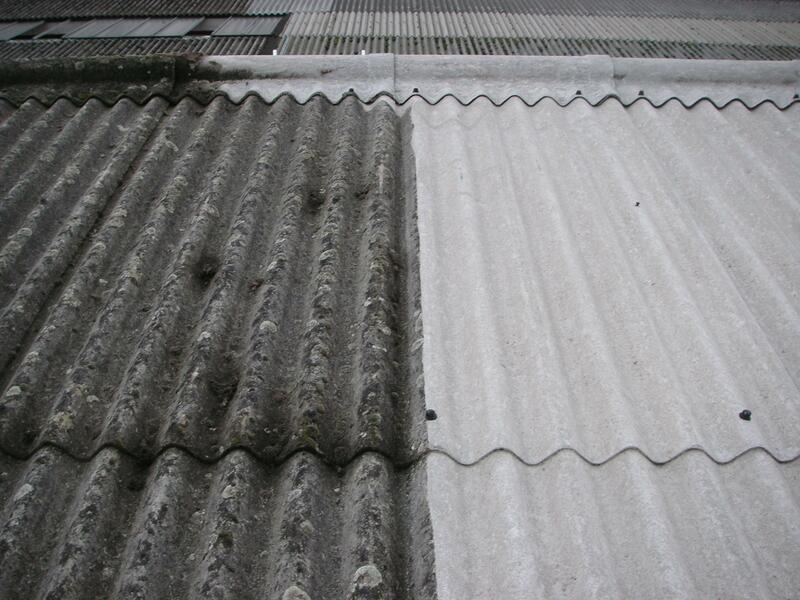 If an asbestos roof is not treated and allowed to deteriorate it is not just the roof itself that will suffer, the interior will also become damaged as the roof is no longer able to protect it. Many business and building owners put off the replacement of their asbestos roofs due to the perceived cost in both time and resources. Thankfully this is not the case. Due to the fact that coating technology has become so sophisticated a leaking roof no longer requires replacement. Instead, using modern coating systems the roof can be encapsulated. Selecting to encapsulate your damaged asbestos roof is substantially cheaper than removing the failed asbestos and replacing it with a modern roof structure. Additionally, this method is safer as it does not involve the direct handling of asbestos. Asbestos has had a lot of bad press in recent years, and rightfully so due to the myriad of respiratory and other health problems that it has been proven to cause. Therefore, it is relieving to learn that as long as your asbestos is re-coated it will no longer present a risk to those who use your building. The risk presented by re-coating asbestos is so minimal that it is actually safer than removing the material. Once sprayed, the coating will provide a safe and effective coverage of the asbestos that will last many years. When working with this material, we provide a coating that is not only permanent but also provides highly effective water-proofing. Once finished, our coating will transform your tired asbestos roof, providing exceptional levels of resistance to both UV and dirt that will last many years. For information or to enquire about a site survey of your premises,call us on: 01908 765 009.